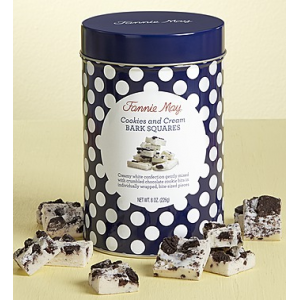 Cookies and Cream Bark Squares 8oz canister at $12.99. Creamy white confection gently mixed with crumbled cookies. All individually wrapped into bite sized pieces.